The 15th season of the World Series of Poker Circuit begins August 2 in Harrah’s Cherokee. This is expected to be a record-breaking season on the Circuit, with an expected 28 stops. The 2018-19 WSOP Circuit season will have a familiar feel, but many aspects of the events will have a new look. Event official ring event will give players more starting chips, (50% more for most events). Buyins have been changed: Each stop will feature at $1,700 Main Event. Other tournaments will be priced at $250, $400, $600, and $1,125. And many stops will offer a high roller event at $2,200, $3,250, or $5,300. For the ninth consecutive year, the Circuit season will culminate with the Global Casino Championship (formerly the National Championship). The GCC is an exclusive, invitation-only event. 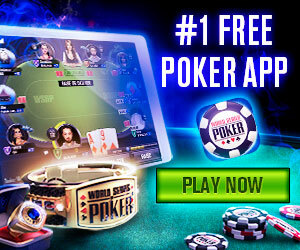 It’s free to enter for most participants, and WSOP adds $1,000,000 to the prize pool. At each stop on the Circuit, the Main Event winner will earn a free seat to the GCC. The Casino Champion – the player who earns the most points in the 12 official open ring events at the stop – will also earn a free seat. They’ll be joined by the top 50 players on the season-long leaderboard, as well as qualifiers from the international Circuit. In addition, the top 100 players from the 2018 WSOP player-of-the-year race each have the right to buy in to the GCC for $10,000 (rake-free). Any ring winner from the 2018-19 season can also buy in directly for $10,000.